Imaging riometers are ideal for studying ionospheric plasma dynamics associated with high latitude phenomena on both the day and night side of the magnetosphere. 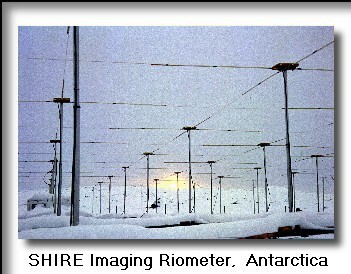 The Space Physics group in collaboration with the Institute for Physical Science and Technology at the University of Maryland (USA - Professor Ted Rosenberg) and the Australian Antarctic Division (Dr. Ray Morris) have deployed a high resolution 38.2 MHz imagimg riometer at the Australian Antarctic base at Davis (-74.6 deg latitude). The aim is to study space-time images of the cusp and auroral latitude ionosphere in conjunction with the digital magnetometer network. Further information is available from Professor Brian Fraser .